Legendary court shoe the Nike Bruin makes a long awaited return for Spring 2012. 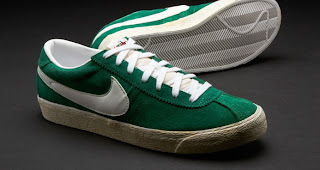 Originally released as a lo-cut basketball shoe in 1973 the Bruin is one of Nike's oldest designs and has since become a icon of sneaker history . 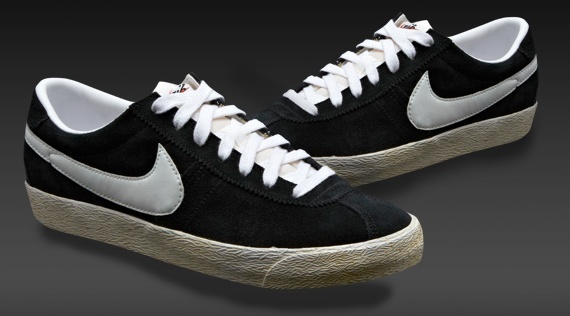 Simply styled the Bruin found fame when it featured in Back to the Future and has remained a legend ever since. 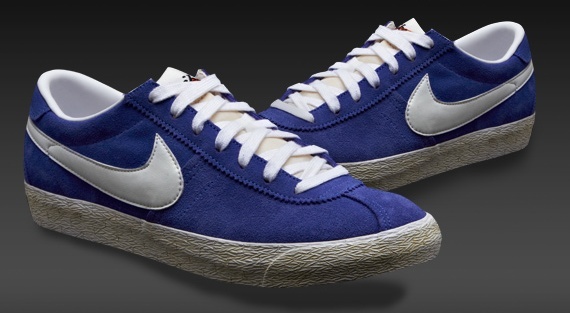 Styled in premium vintage suede on a vulcanised rubber sole this vintage trainer is set to be a classic again.